An Account Director will be a strategic member of Grid Dynamics’ growing team and will be responsible for developing business with the world largest retail, technology, and financial companies. The ideal candidate is an outstanding relationship manager, with a solid understanding of modern software engineering practices and architecture approaches. Your primary focus will be on growing business by ensuring effective delivery, developing customer relationships and pursuing new business development opportunities in the customer’s organization. The Account Director will be responsible for P&L of the account and will be working closely with Grid Dynamics’ engineering team and customer’s stakeholders. 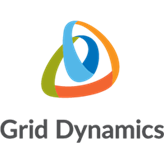 Grid Dynamics is a midsize, profitable, and fast-growing technology services company that works with the most bleeding edge technologies to deliver innovative solutions for our clients. We serve some of the largest US retailers, tech companies and fin services and deliver our solutions using open source technology that runs on the cloud. Our constant growth has made working with us a prime opportunity for software engineers ready to grow their careers and make an impact by working on cutting edge projects in influential roles.